I am dedicated to the goal of improving pharmacy practice and medical practice by implementing concepts of pharmaceutical care into patient care. I believe pharmacy practice can serve to improve the health and wellbeing of patients and further improve the health of a community. Dr. Pereira's current practice is located at Smiley's Clinic in Minneapolis. Smiley's Clinic is a Family Medicine clinic that is part of the University's residency training program. Dr. Pereira works with an intraprofessional care team that is dedicated to the needs of their patients. Smiley's clinic has a long and proud history of caring for people that live in the surrounding community. Part of the joy of working at Smiley's Clinic is the diversity of cultures. Dr. Pereira's interests are grounded in providing excellent care for those under-represented in society and vulnerable to medical complications. Dr. Pereira enjoys training pharmacy students and residents at Smiley's clinic. Smiley's is an established 5 week APPE for PharmD candidates. The pharmacy resident completes year one of the two year Leadership Residency at Smiley's clinic. In both cases, learners work with a care team to provide care within the medical home model. Pharmacy learners work directly with patients to apply pharmaceutical care skills with the goal to optimize drug therapy and health outcomes. The educational mission is to understand how to apply evidenced based medicine to patients with limited resources as well as complicated medical histories. Dr. Pereira's research and scholarship interests are focused on improving educational strategies in the experiential education curriculum.Dr. 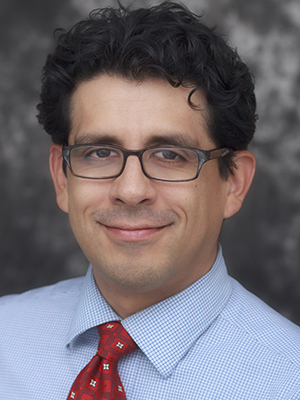 Pereira would like to find new ways to strengthen the connection between pharmacists and community health. Dr. Pereira works closely with organizations that share these same beliefs, such as the Philips Neighborhood Clinic. Post hospital follow up appointments in a primary care center and the impact pharmacist intervention can have to improve overall care. Brandenburg D, Pereira C, Adam P. Is it okay to use the nicotine patch during pregnancy? Evidence-Based Practice. 2015;18(2):E1. Sharma A, Pereira C. Drug class: Corticosteriods. Minnesota Health Care News. 2013;11(5):14-15. Chaisson N, Pereira C. Promoting healthy pregnancy: chronic medical conditions and the pregnant woman. Minnesota Physician. 2013;27(2):28-30,36.